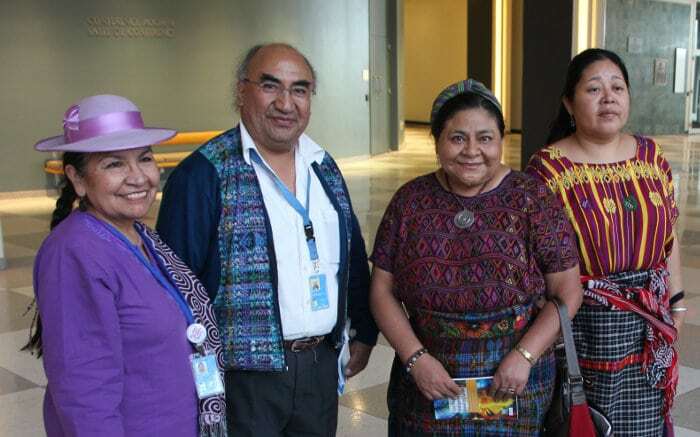 The high level plenary meeting of the United Nations (UN) General Assembly known as the World Conference on Indigenous Peoples (HLPM/WCIP) was held on Monday, September 22 and Tuesday, September 23, 2014, at the UN Headquarters in New York. UN General Assembly Resolution A/RES/65/198, adopted on December 21, 2010 stated that the HLPM/WCIP would be held in “order to share perspectives and best practices on the realization of the rights of Indigenous peoples, including to pursue the objectives of the UN Declaration on the Rights of Indigenous Peoples.” The HLPM/WCIP resulted in an action orientated outcome document that was prepared by the President of the General Assembly in consultation with Indigenous Peoples and Member States. Outcome document of the high-level plenary meeting of the General Assembly known as the World Conference on Indigenous Peoples, 15 Sep. 2014. Documento final de la reunión plenaria de alto nivel de la Asamblea General conocida como Conferencia Mundial sobre los Pueblos Indígenas, 15 de septiembre de 2014. Presentation – Interactive Panel on the UN Post 2015 Sustainable Development Goals. World Conference on Indigenous Peoples. Statement by the International Indian Treaty Council, 23 Sep. 2014.